Spring Education aims to provide excellent education for children of all abilities whether they are under achieving or successful students. It is important to stress that it is vital to support children who need extra help and those who are falling behind at schools. Many children struggle at school to meet the required average. The majority of successful pupils are those who attend or have attended tuition courses. These students gain extra support and work closely with teachers who can help bridge the gap where there is lack of progress. 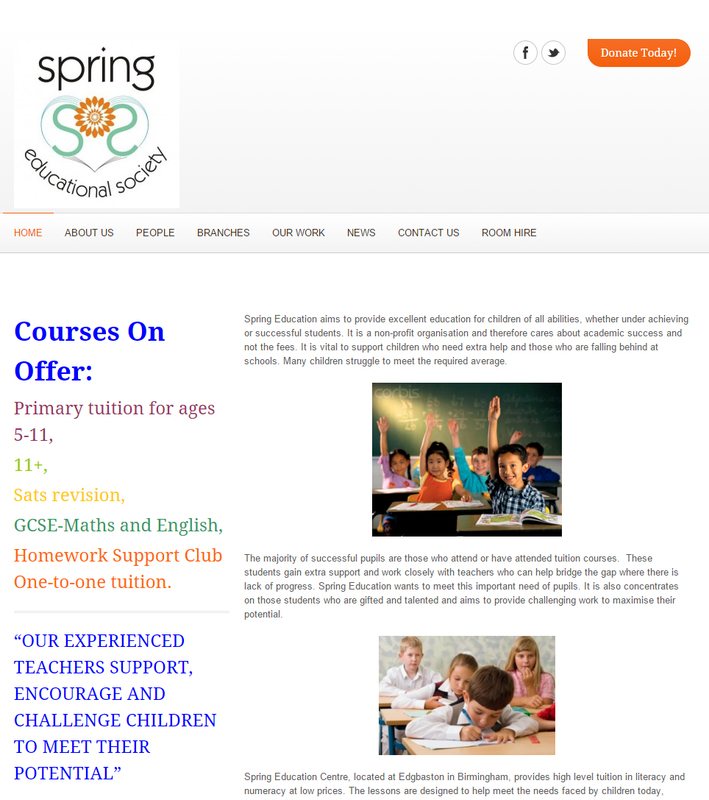 Spring education wants to meet this important need of pupils. It also concentrates on those students who are gifted and talented and aims to provide challenging work to maximise their potential.